Hdiv detects security bugs in source code before it is exploited, using a runtime dataflow technique to report the file and line number of the vulnerability. Reporting is immediate to developers during the development process either within the web browser or within a centralized web console. Hdiv IAST detects vulnerable points within the source code in runtime, reporting the file and line number of the vulnerability, and therefore being more efficient than SAST and DAST tools. Hdiv IAST detects third party software with known vulnerabilities, reporting details of the specific CVE(s) associated with that library. This feature only requires installation of an agent within the application server without any change in your applications. No plug-in installation required. Hdiv IAST detects existing vulnerabilities within the production environment, reviewing custom code and the code of third party dependencies. 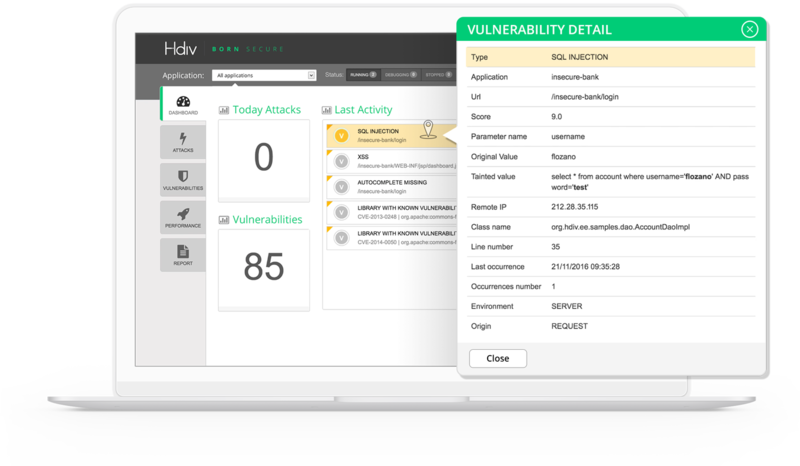 Hdiv gives a centralized view of existing vulnerabilities in production and pre-production environments. 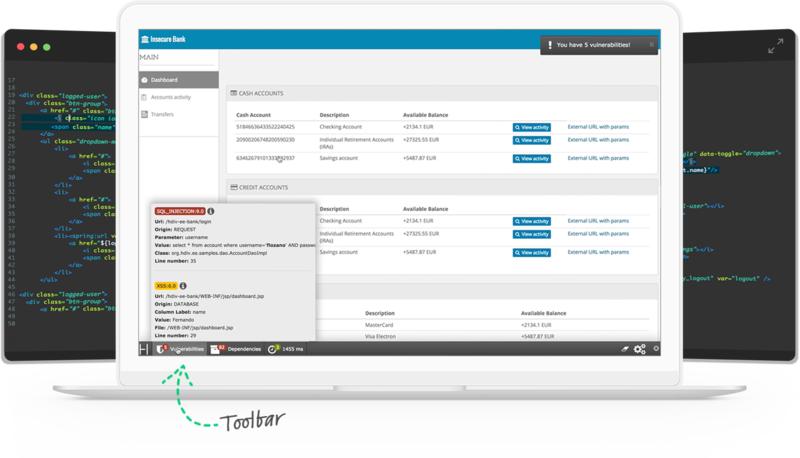 Hdiv centralized detection features allow integration with third party systems, such as task management solutions or SIEM solutions. 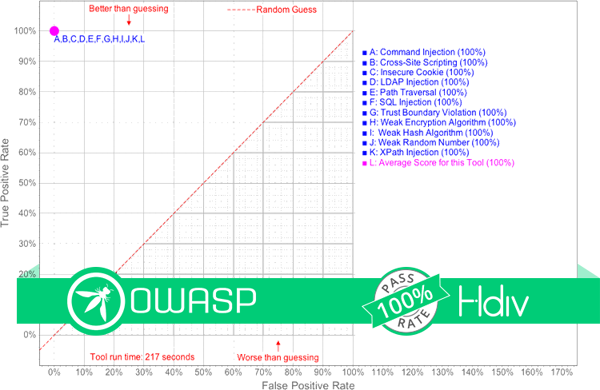 Hdiv IAST scores 100% in OWASP Benchmark with 0 false positives.